I love Donne, and it's good to see him getting a mention. Had a superb English teacher for A-level who introduced me to him, and I've loved his poetry ever since. My much-loved volume of the complete poetry (with the dashing young man that you've got the picture of here on the cover) has travelled virtually everywhere with me. I always go and see hello to him, looking dashing in his shroud if I'm near St. Paul's Cathedral. I find his life as fascinating as the poetry. 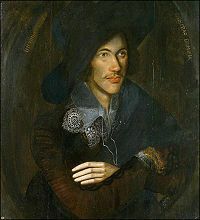 How could the same man have written the Songs & Sonnets in his youth & the religious poems in his later life? I have the Complete Poems too (same edition) & a couple of editions of the Selected Poetry as well. So many favourites there. I forst came across Donne at school too; we studied the Sunne Rising. 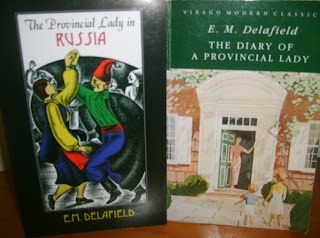 Thank you for the idea to buy The Diary of a Provincial Lady, I did and look forward to reading it. As for blog stats, I can not figure out why some of my posts are more popular than others. A few I wrote on retirement were more read than other of my posts about books, flowers, etc. Tis a mystery. Hope you enjoy the PL, she;s one of my favourite literary characters. Blogger stats have always been odd so I find it puzzling but don't worry too much about it. Donne is always convoluted, too clever for his own good sometimes. I often wonder if his lovers could work out what he was trying to say! In this one I think he's saying that his love continues growing even when he thinks he's reached the limit of his love. He uses the metaphor of the seasons & compares them to nature (stars in the firmament, plants budding & growing). I'm sure there are other interpretations as well. There's always more to find in Donne, the metaphysical poets are never easy to decipher but always fun to read.